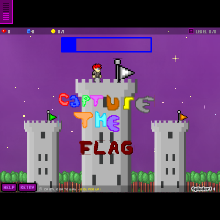 Welcome to the demo of our upcoming new game, Capture the Flag! The aim is simple - find and retrieve the flags from the enemy! Watch out for them, though!